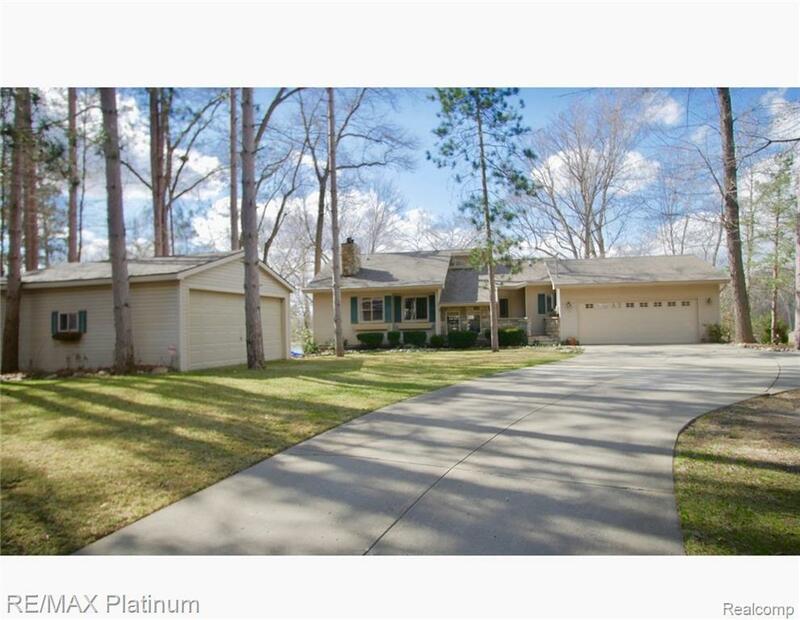 Beautifully updated and well maintained home with 80 feet on all sports McKane Lake! 10 acres across the street included in the sale offers many trees to cut to keep your home warm, hunt or build an additional pole barn. 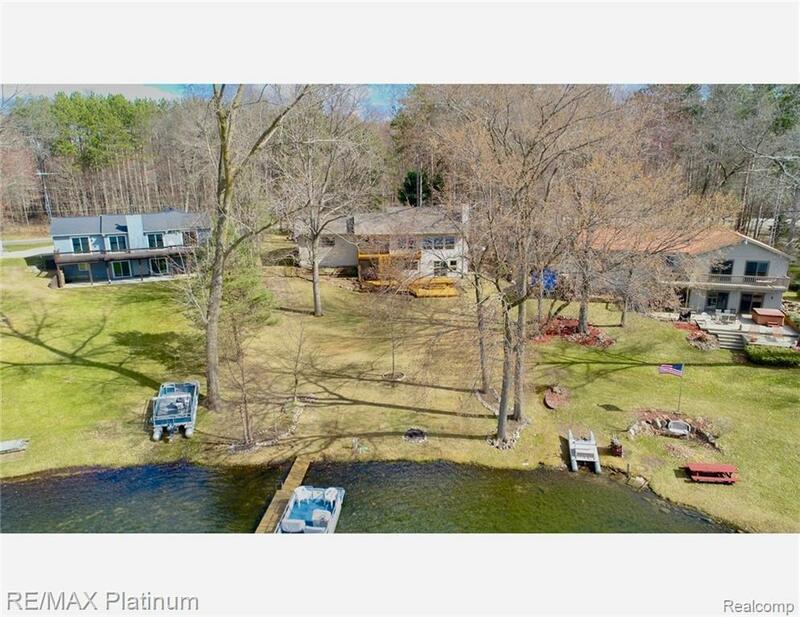 Over 2000 square feet of full finished living space -the whole main floor, including the master bedroom, has stunning real wood flooring while the lower lever has a durable wood plank vinyl (new in 2018) flooring which is perfect for coming in from off the lake! 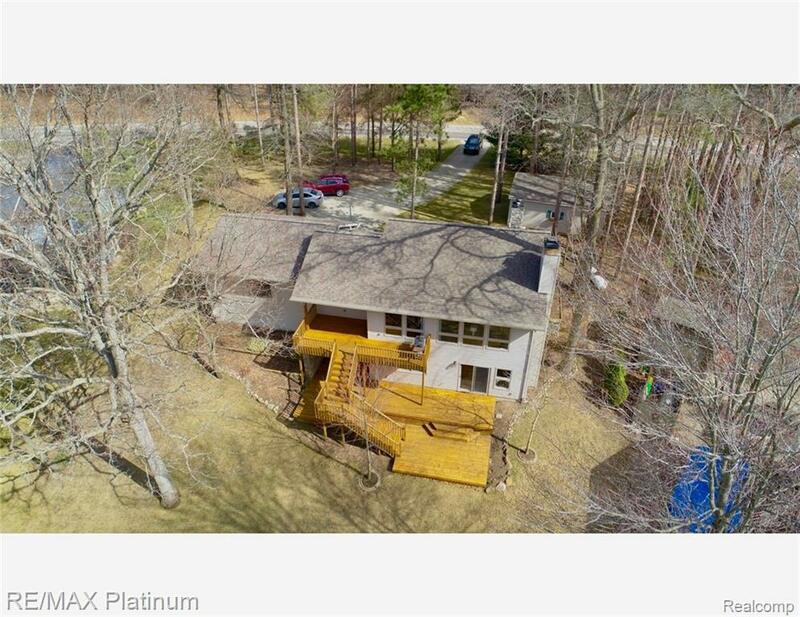 Fully updated interior (within the last three years) and a three layered deck which allows you to take in the beautiful view of the lake in your backyard. 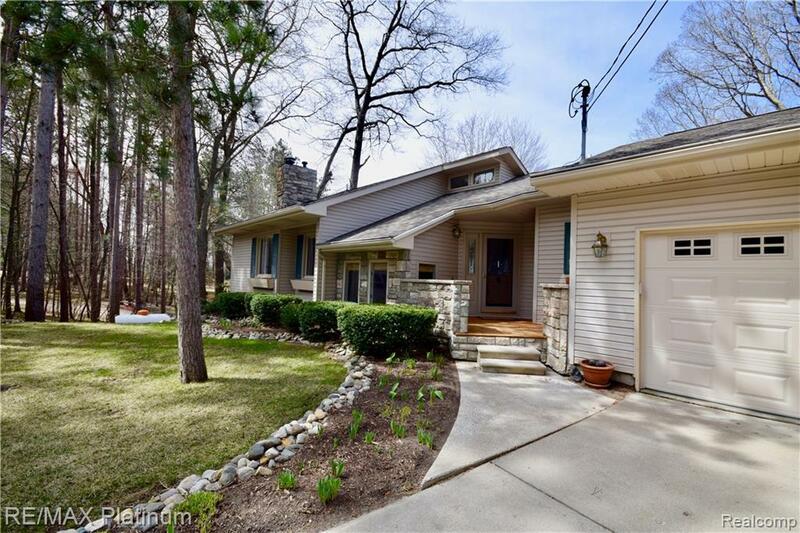 Two fireplaces in this home to allow you to relax and enjoy the space while taking in the lake view year round. Enjoy a additional garage! Plenty of room for a campfire or space for kids to play in the yard as well. This lake offers a wonderful community with many events and activities for the whole family. Come join us for our open house April 20th 12-2!